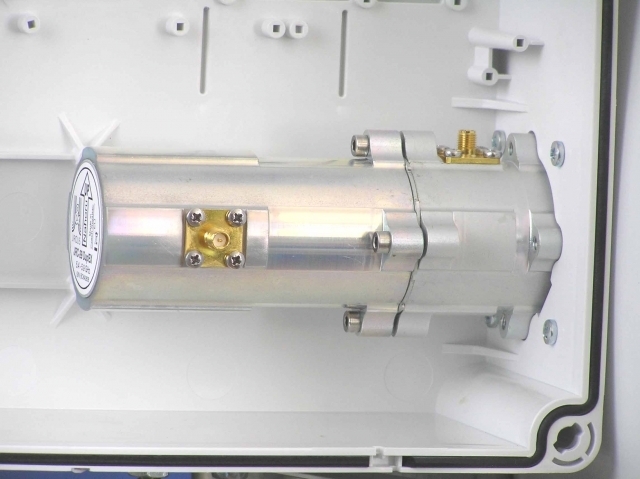 Antenna JRC-24 DuplEX Precision is based on the proven and popular JRC-24 DuplEX, equipped with massive bracket JDMW-900 developed for a microwave links. Using with GentleBOX JR-300 we recommend JRC-24DuplEX-SMA Precision with R-SMA connectors. Using "N" you need 1 pcs of Adaptor N right angle at horizontal connector.